The Mason Lake Conservation District and the Oceana Conservation District has received a grant in the amount of $12,590 to research a coastal water trail between Little Sable Point Lighthouse and Big Sable Point Lighthouse. Neighboring states such as Indiana and Wisconsin have already implemented coastal trails, and Michigan would like to have one of their own. The ultimate goal is to link Ludington State Park to Silver Lake State Park...traveling through various seven Lake Michigan watershed outflows. These include Stony Creek, Silver Lake, Hamlin Lake, Pentwater River, Bass Lake, Pere Marquette River, and Lincoln River. 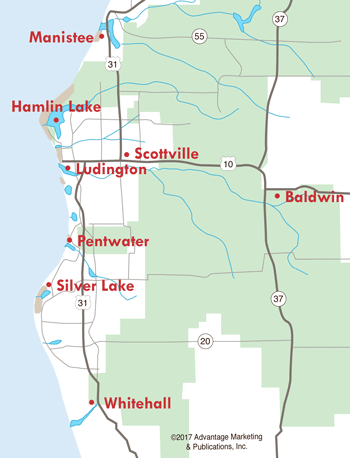 A possible eighth would be the Ludington Pumped Storage Plant. The National Park System is trying to develop slow water tourism...which is sparking the national water trail movement. During the planning stages, the group plans to have public input on the water trail, decide on areas for public access and make them handicap accessible. 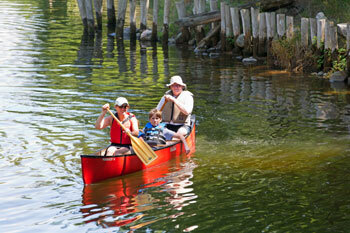 In addition to linking the watersheds, it is hoped that this will bring attention to local coastal water trails, such as the canoe trail at the Ludington State Park. There's the possibility that educational signs can be posted explaining in detail the areas people may be paddling near. To volunteer to help map out the area, contact Jordan DeVries at (231) 757-3708, ext. 3.